Nikonians wiki is a user driven photography knowledge base. It is updated daily by our members. If you are a Gold or Platinum member and you have not added your own pearls yet, do that today and ensure that your knowledge is spread! For the MP3 version of this podcast (audio only) click here (18.8MB). Our user edited Wiki is growing continuously and new Tips and Tricks articles are being added often. If you are interested in tips and tricks on how to photograph ice hockey, or how to crop your images, you should take a look. Members on Gold and Platinum membership levels can create and edit articles. To ensure that our members are not being spammed we have decided to allow only Silver members and up to email other members. Due to a recent incident with one member on a Basic membership spamming (a smaller number of) other members, we have decided to disable the email feature for Basic membership level from today onwards. The email feature is now only available to Silver and higher. Now you can give another Nikonian a membership as a gift. Make sure you know the members' username and then select Give membership as a gift in your user menu. You can select between a Silver, Gold or Platinum membership and the receiving Nikonian will directly be upgraded to the level you selected - or have his/her membership extended if the same level as the member has was selected. If you want to keep the gift anonymous, you just go through the payment procedure without sending a message to the person afterwards. If you want to make sure the person knows who sent the gift, then you will have the chance to send a private message to the member after you paid. For Nikonians with visions of D3X cameras dancing in their heads, our colleagues at Imaging Resource have more content for you: initial test shots with the latest high-megapixel full-frame DSLR. See their samples page to view the Multi-target, Still Life and Viewfinder accuracy frames. Nikonians Orange Pages lists Professional Social Events and Wedding Photographers. Make sure your business is listed. The service is free for Platinum members. Nikonians sponsor M-Rock has an online "pre-visualization" feature to help you choose the perfect camera transport and protection gear for your personal Nikon inventory. As soon as you visit the M-Rock home page you will find their products are now available with an instant 20% discount available, but that alone is not going to help you decide. M-Rock has taken the next step for online shopping convenience by building a comprehensive database of camera, lenses and accessories sizes (based on all major manufacturers) and helping you make your choice with an advance look at the possible combinations. All you have to do is go to their "Bag Search" link and select "Nikon" to find a listing of compatible bags and backpacks. Once you find your specific camera suggestions, the site takes an extra step, by providing a variety of "pre-visualization" views of the inner layout options and outside appearance of the pack (like this image of the 526 – McKinley showing the optional 550 Hydration Bladder). You will see this pack, selling for $290 USD drop to $232 USD instantly as you begin to place your order. This is just a sampling of the user-friendly shopping options available at M-Rock. If online shopping for camera packs has been a frustrating experience for you, try checking the M-Rock site for more information than you ever needed (plus that 20% discount). Starting today, if you are on Silver, Gold or Platinum level with Nikonians and you renew, you will receive an additional 30 days extension to your membership at no additional cost. If you decide to upgrade to a higher level, e.g. from Silver to Gold, whatever is left of your current level will be upgraded to the new level as well, also at no additional cost. All functionality available to our supporting members is listed in the membership overview. Join Martin outdoors in the cold December weather probing the different options - one more weird than the other - and afterwards going indoors for a bit of heat and some flash shots. Read more details about the Lens Baby in Martin's review on his blog and on the Lens Baby homepage. - different optics with different effects, shot outdoors in ambient light as well as indoors with flash. Nikonians has launched a new Membership Certificate for its supporting members. The certificate can be found in your User Menu. The certificate is of high resolution and can be printed out in color on a high resolution printer. P.S. Silver members might have experienced a problem printing out their personal certificate. This problem is meanwhile fixed - sorry about this! Nikonians launched RSS Feeds for its public forums for supporting Silver, Gold and Platinum members today. Not a supporting member yet? Upgrade today to secure Nikonians existence. 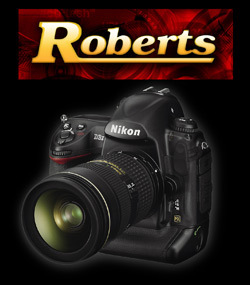 Nikonians Corporate Partner Roberts Imaging has a special deal on the table for our Nikonians members who are placing pre-orders on the new Nikon D3x. Your pre-order with Roberts will get you free 4G CF card, a card wallet and a $37.50 rebate on a Nikonians Gold Membership, just by mentioning your Nikonians Username when you place your order. This contact will get you on the waiting list for the D3x and by mentioning your Nikonians membership and username you will be automatically in line for the special deal. If you are a member of NPS you should mention that also. Your contact will place you on the Roberts wait list in the order they have received it, and you will not be asked for credit card information. There is no commitment for the purchase at this point. Once Roberts receives their D3x shipments they will start contacting those who have placed their pre-orders, in the order they were received. Some will be reserved specifically for NPS members, and some open stock. For the open stock they will go down their list and contact each person. You will have a time-frame, usually a day or two, to get back with Roberts and confirm you still want to purchase the camera. "If they confirm their order with us, we'll take their credit card information. First time customers have to ship to the billing address of an American credit card. International customers can ask us about establishing a wire transfer and we'll work with them. All orders ship signature required, no exception." Nikonians who have identified themselves early in the pre-order with their usernames will then have the special offer automatically applied, said Derek -- "Before we ship their order, we'll add in a free Extreme III 4 GB CF card and a coupon for half off a Nikonian's gold membership." That half off is a $37.50 USD rebate on your Nikonians Gold Membership. Pricing on the D3x is still currently showing only the MSRP ($7,999 USD) but Derek tells us your mention of the Nikonians username and this special offer will get you the best price Roberts Imaging can provide. For the MP3 version of this podcast (audio only) click here (19.7MB). Nikonians facing challenges in carrying their gear in urban environments now have a new series of Think Tank Photo backpacks to choose from. The StreetWalkers series consists of three new backpacks with slim and vertical profiles -- and they are priced between $140 and $180 USD. Any of the three would be an interesting and relatively affordable purchase for Nikonians seeking high quality photo backpacks but the design concept "behind the scenes" will be of particular interest to our female Nikonians and anyone else with smaller body frames and the need for navigating crowded places and public transportation while still being able to access their gear. Think Tank Photo's press release explains: "A common complaint of female photographers is that photo backpack shoulder harnesses are designed for average-sized men. The shoulder straps on the StreetWalker have been specifically engineered to fit a wider range of sizes for both genders. Women in particular will appreciate the StreetWalker’s very narrow and vertical profile, especially when combined with the shoulder harness design. 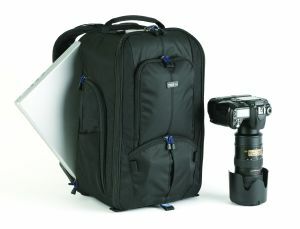 StreetWalker -- A slim, lightweight backpack which will hold a Pro Size DSLR with 70-200 2.8 attached and hood in position. 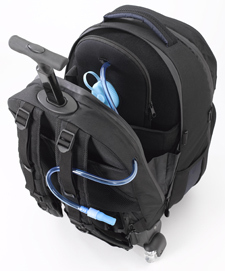 It includes a monopod/tripod mounting system, a contoured harness and air channel for increased comfort, and lots of pockets and organizers for customization. StreetWalker Pro -- Designed for a Pro Size DSLR with up to a 400 f/2.8 attached, or a 70-200 f/2.8 attached and hood in position. 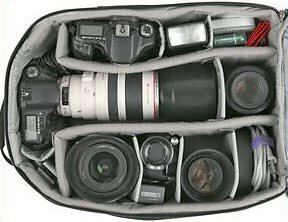 It also includes the monopod/tripod mounting system, the contoured harness and air channel, and lots of pockets and organizers. StreetWalker HardDrive -- Which hold most 15” laptops and a Pro Size DSLR with 70-200 2.8 attached and hood in position (the image above shows the internal layout). It also includes the monopod/tripod mounting system, the contoured harness and air channel, and lots of pockets and organizers. The StreetWalker backpacks were designed by veteran camera bag designer Lily Fisher. Nikonians-- Don't forget -- if you decide to make your purchase using our Think Tank Photo Order Form -- Think Tank Photo will will send you a free gift with your order. Datacolor, manufacturer of Spyder3 color calibration solutions has invited Nikonians to join in on a colorful contest. 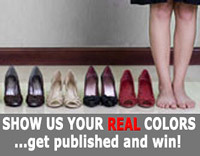 Datacolor's simple invitation: Show colors, get published & win! They ask contestants to send images "that show your colors -- images that show how you feel and how you see the world. Even if these colors are black and white, your artwork is welcome. Anything goes, but demands are high!" Entries will be accepted from now until the 31st of January 2009 and can be in color or black and white in web resolution no larger than 1,000 by 1,000 pixels (small image files). The contest calls for two images from each submitting contest. The submitted images are being compiled with the assistance of artlimited.net. They have made this a public project (anyone can join). Registration for their demo basic package is free, and it can be used for the purposes of this project. Please remember that if you are chosen as a winner, you will need to supply the winning images in a high resolution format. Thirty participants -- chosen by a jury -- get rewarded with a publication of their two images in the "Real Colors of my Life" photo book, which will be available beginning February 9 in the Blurb bookstore. All proceeds from the sale of the book will go to Las Mariposas, a children's village in Chile managed by the organisation "Hope for Children." First Prize: A one week workshop in Italy at TPW (Tuscany Photographic Workshop). Second prize: Adobe Photoshop CS4 & Adobe Photoshop Lightroom. Third prize: The "Nik complete collection" software. For details check Datacolor's "Colors of My Life" Web site. Nikonians has added more terms to its extensive Photo Glossary. The new, wiki based glossary makes it easy for members on Gold level and up to participate, sharing knowledge. The D3x hits the photography world with Nikon's first 24.5-Megapixel resolution sensor, which now puts Nikon into the world of image quality previously owned by professionals shooting medium format cameras. Hendric, our Mass Media and Communications Director, says the host for the Swiss launch ran through a 30 minute presentation for a group of less nearly thirty imaging and photography journalists and professionals tracing the evolution of the Nikon DSLR line. Pascal Richard, Nikon Swiss Manager of NPS Nikon Professional Services Marketing, told his audience this was just the beginning of Nikon's entry in the medium format arena. 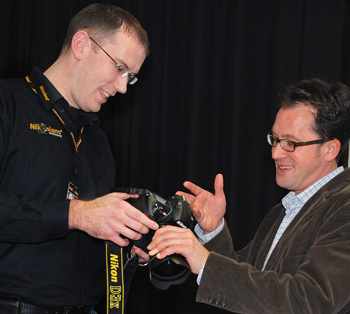 Pascal is shown here, handing a D3x with an AF-S NIKKOR 14-24mm f/2.8G ED lens attached to Hendric (on the left). "An interesting point Pascal made was the comparison from a year ago when the D3 was announced and now," said Hendric. "He showed photos of the 11th International Association of Athletics Federations (IAAF) World Athletics Championships in Osaka in 2007, and pointed out the many Canon Lenses. Then he showed similar pictures from the 2008 Olympics in Bejing, now with many more black Nikon lenses. He said that's what Nikon is shooting for- to become number one." The professionals on hand with experience handling the D3 were quick to point out that the ergonomics of the new model were practically identical. Both physical handling characteristics and placement of hardware mirrored the D3, making the transition to the D3x an easy "step-up." In a top-side comparison, when you can't see the little "x" on the front of the camera, you would be severely challenged to say which model you had in your hand. The key differences and imrpovements are all inside. 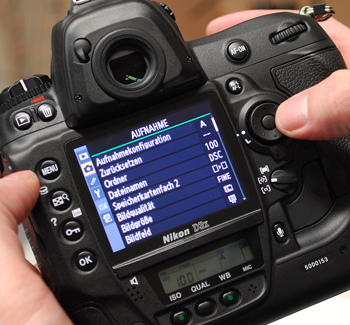 In this photo of the Shooting Menu (in German), we see one of the 15 languages supported by the Nikon D3x. It supports: Chinese (Simplified and Traditional), Dutch, English, Finnish, French, German, Italian, Japanese, Korean, Polish, Portuguese, Russian, Spanish and Swedish. The D3x has the same rugged shell surrounding a magnesium alloy frame used by the D3 for protection from moisture, dust and shocks. The 3.0-inch super density LCD monitor provides a 920,000-dot screen viewable at wide angles up to 170 degrees. Following his presentation, Pascal Richard invited his guests to put the D3x to the test, with a live studio shoot and attractive model ready to go. His offer was taken up by many, including our own Hendric Schnieder and Holger Wahl, news editor of the German edition News Blogs. Among those testing the camera in studio conditions was Swiss fashion photographer Christian Ammann (photo above). Hendric tells us: "He was very impressed with how easy it was to handle. He had never handled the D3x but is very familiar with the D3 and he was pleased that the menu has the same structure." Holger's shooting session was with the D3x and an AF-S NIKKOR 24-70mm f/2.8G ED lens. He's shown here (on left) looking at some of the work produced by fellow guests with his host, Pascal. The studio environment helped emphasize the Nikon D3x strength -- High resolution images perfect for use by Nikon's target market: "high fashion, commercial advertising and fine art." That high resolution work will best be utilized by the pros who are already equipped to handle the massive post-processing requirements of files exceeding 138 MB. The D3x will be available next month at a cost of $8,000 USD (manufacturer's suggested retail price). With a tough world-wide economy situation many Nikonians who can't afford the new Nikon DSLR flagship may be wondering why the unveiling of this 24 megapixel full-frame beast is of importance to them. The benefit comes in a downhill pattern. 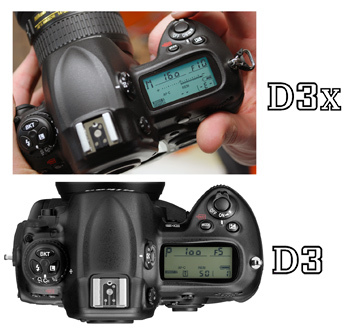 The D3x launch was preceded by welcome price drops for the D3, which can now be found at half the price of the D3x. The technological steps used to perfect the D3x will sooner than later be passed on to future Nikon's in the "prosumer" range, and again at lower costs. The D90 currently on the market is a good example. So, if you can't afford it, join the crowd -- but take heart in the fact that your Nikon world has just been improved. As a parting shot, here's Holger's image of the model in front of the parachute. His exposure time was 1/250 sec at an aperture of f/11 using ISO 100. - Read more information on the Nikon D3x in our first Nikonians preview by Bo Stahlbrandt. - Attend the Copenhagen launch of the D3x with Nikonians On Location podcaster Martin Joergensen. 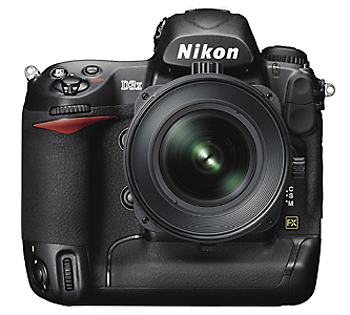 - Discuss the Nikon D3x in our D3x users group. Tapping the most valuable knowledge database available to the Nikonians.org community, we have just launched The Nikonians Wiki. The knowledge database stems from our own members who have demonstrated by their forum participation and submissions of articles that our Nikonians.org user-driven community has tons of photography and imaging information to share. Access to The Nikonians Wiki is available at anytime to members and visitors in our forums section by looking for the Wiki/FAQ/Help link at the top left of the Forum page. You will want to check The Nikonians Wiki often as it steadily grows and if you are interested in editing the information you can join the Team already working on the knowledge base expansion. The Nikonians Wiki can be edited by Nikonians on Gold level membership or higher. FAQ - Our community FAQ's incl Academy and Shop FAQ's. Nikonians Photo Glossary - Our detailed photographic glossary. Tips and Tricks - A collection of tidbits to improve your photography and workflow. Good Locations - Good shooting locations all over the world. With tips on where to go and what (not) to do. Galleries Guide - The user manual for Nikonians galleries.